World Gold Council said, "The steady state of global demand concealed a more varied country-level picture. Gains were concentrated in India, Iran and the US, just outweighing modest losses elsewhere." Global demand for gold in the first three months of current calendar year rose just 1%, at 480.9 tonne. India's demand for gold in this very period rose from 79.8 tonne to 92.3 tonne, up 16%, or 12.5 tonne, which is nearly double than the global increase. Global gold demand, in the first quarter of 2016, was at a seven-year low of 474.4 tonne. WGC added, "Demand was 18% below the 587.7t five-year quarterly average. The 9% rise in the US$ price between end-December and end-March restrained demand, although US dollar weakness meant that consumers in many markets were protected to some degree." Gold demand globally remains heavily influenced by India and China, which together account for over half of the market. Chinese gold demand in the given three month period fell 2%, at 176.5 tonne. WGC said, "Pent-up demand from the closing weeks of 2016 was gradually released as liquidity improved. But Q1 was still weak at 92.3t - only the third quarter this decade in which demand has fallen below 100t." The local price rose steeply in the opening weeks of 2017 before a sharp appreciation of the rupee in February and March. The pullback in the price during March was well-timed to coincide with planned purchases of gold ahead of the Q2 wedding season and the Akshaya Tritiya festival at the end of April, WGC said. The government’s push for transparency in India’s economy began to take effect in the gold market, with a gradual shift towards electronic transactions, it said. "Although cash remains vital within the rural economy, consumers are gradually adopting cashless payment methods. This has helped bolster the performance of organised retailers, such as national chain Tanishq, which reported a ‘quite significant’ recovery in Q1 demand," WGC said. 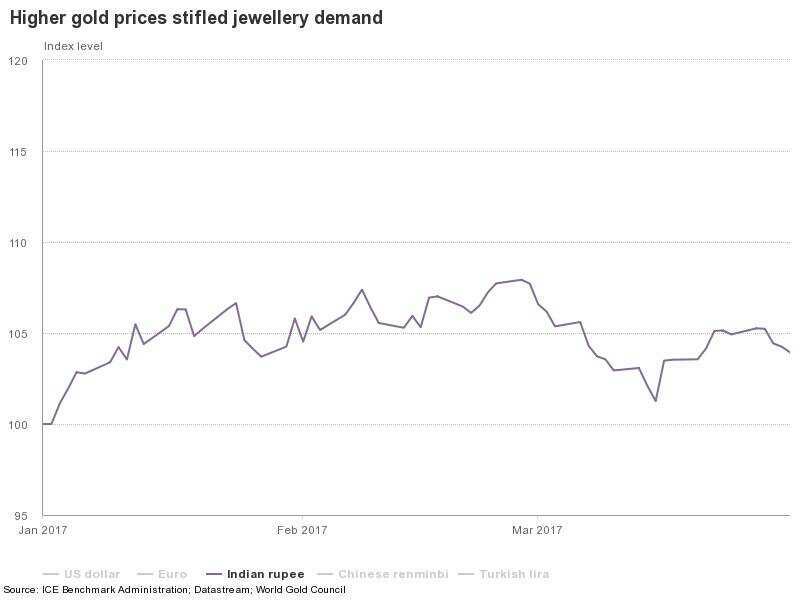 "The combination of the wedding season, Akshaya Tritiya festival (falling on 28/29 April) and continued remonetisation of India’s economy should support gold jewellery demand. 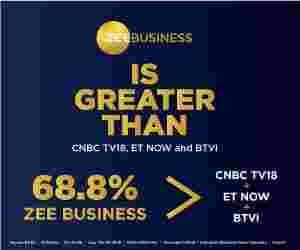 However, the market is wary of the forthcoming decision on GST and this will likely weigh on demand until the government’s final decision, due for implementation in early July," it added.